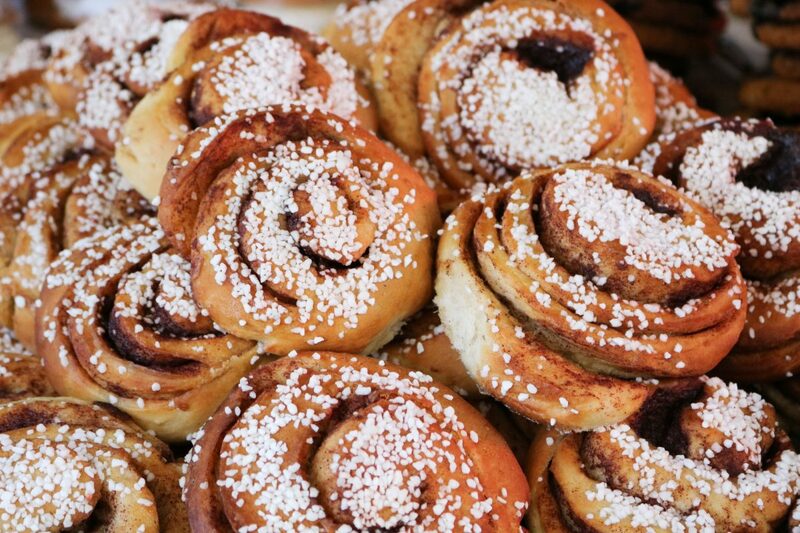 Kanelbullensdag, the Day of the Cinnamon Bun, is celebrated in Sweden every 4th of October. So if you come to Stockholm besides visiting the most popular places you should also make time to try the best buns in town. A long time ago I wrote an article about one of my favorite places to try cinnamon and cardamom buns in Stockholm*. Now Svenska Dagbladet, one of the leading Swedish newspapers, lists 8 places to visit to try them out. I am only writing about five of them but if you want to know what the others are, check out the original article. 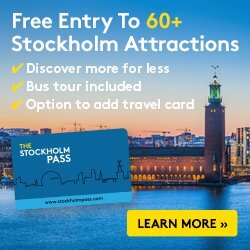 So if you are in Stockholm in October and want to find the best cinnamon buns, come to these places and do your own gastrotour. Valhallabageriet is a pastry shop with a couple of shops in Stockholm. One of them is in the opulent neighborhood of Östermalm on Valhallavägen Street behind Gustav Adolf Park. The best way to get there is with by getting off the underground at Karlaplan station. The Svenska Dagbladet’s testers say that this year’s cinnamon roll is an explosion of homemade flavor in a bun where you can see the butter flow. The Bageri Petrus located on the Mariatorget Square in Södermalm last year ranked first on this list and this year according to the critics of SvD it should be relegated to second place. But undoubtedly another place to go in search of good raw materials and good final result. This emblematic cafe in the center of Stockholm on Kungsgatan Street, just 5 minutes walk from the Central Station, has been serving high quality fika to the Olmians for years. Cinnamon rolls from Vete-Katten are always among the top positions on the list. And if you happen to go to Stockholm in February, do not miss out on their delicious lenten buns known in Sweden as semlor*. The most expensive of the cinnamon rolls tested by the editors of SvD is that of Fabrique which costs about 33 SEK while the normal price ranges from 25 to 28 SEK (2.5€/$3.65/£2.80). This bakery with stone oven has several shops at central locations in Stockholm such as Drottninggatan Street 102, Kungsgatan Street 47 or Götgatan Street, 24 in Södermalm. Gateau has shops located in the Central Station of Stockholm, in the Sergelgatan Street and also in the Gallerian shopping center, so you will probably come across one during your stay of a few days in Stockholm. According to the judges this bun has the right point of cinnamon but the bun itselft perhaps needs to be a little juicier. 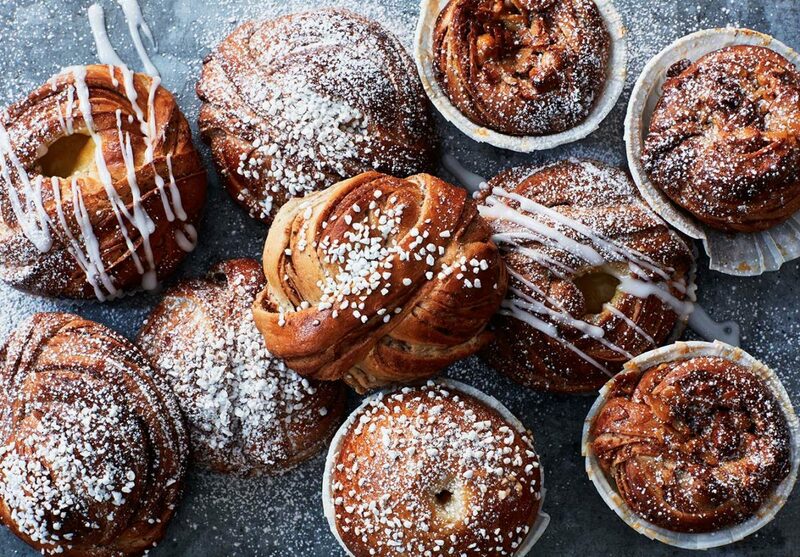 Lastly, I am glad to see that Bröd och Salt, a bakery that I love and can wholeheartedly recommend, made it to the sixth place on the list of best cinnamon buns. These are some of the many places in Stockholm where this type of fikabröd, which in October has its special day but which can be enjoyed the rest of the year, is served. Now it is a matter of going over, trying a few and then deciding which one you liked the most. If you do so, do not hesitate to leave me a message. If you are looking for more cafes and restaurants in Stockholm* or you are interested in knowing eight award-winning pastry shops in the city* check out the articles I have written about it.